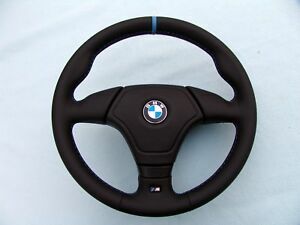 BMW AIRBAG EURO SPORTS STEERING WHEEL, E36 M3, NEW NAPPA LEATHER,3 COLOR STITCH. tainik has no other items for sale. It's a great addition to the interior. It's very well made, and it looks and feels great.